Winter rain and snowfall have been on the lower side across the hilly states of North India. Rains over the state of Jammu and Kashmir have been still satisfactory, but the other two places are far deficit. The state of Jammu and Kashmir has been witnessing intermittent spells from past few days. Once again, rain and snow have begun over the North Indian hills, with the strongest Western Disturbance of the season. The system is over North Pakistan and adjoining Jammu and Kashmir with its induced Cyclonic Circulation over Central Pakistan and North Rajasthan. Such system results in fairly widespread to widespread rains and snowfall over the hilly states for a prolonged period. 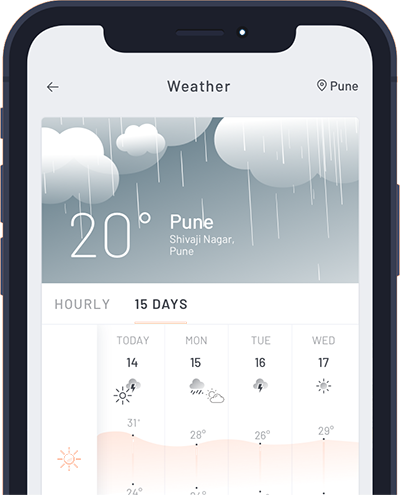 As per Skymet Weather, the coming five days would be full of heavy rains and snow. So far, Jammu and Kashmir was the only state to receive good spell of rain and snow. Himachal Pradesh and Uttarakhand have been performing poorly. The state of Himachal Pradesh is still deficit by 43% and Uttarakhand by 76%. Looks like it is only Jammu and Kashmir which is deficit by a marginal number, i.e. 4%. As per the weathermen at Skymet Weather, this prolonged spell seems to be a promising one. Today and tomorrow, on January 21 and 22, there would be widespread rain and snow with heavy spells. Qazigund and Banihal in Jammu and Kashmir are already witnessing heavy spells of snow and snow amounting to 50 mm. It is safe to say that rainy and snowy spells have already made an entry to the valley and is pouring heavily since last evening. Jammu and Kashmir would witness very heavy spell of rain and snow on January 21 and 22. Such heavy and prolonged spells lead to increase the risk of Avalanches. The warning has been issued for the avalanche-prone areas of district Shopian Kulgam, Budgam, Baramulla, Kupwara, Bandipora, Ganderbal, Kargil and Leh. Kashmir is currently under the grip of 'Chillai-Kalan' - the 40-day period of winter - when the chances of snowfall are frequent and maximum, and the temperature drops considerably. Chillai-Kalan ends on January 31, but the cold wave will continue even after that in Kashmir. The 40-day period is followed by a 20-day long 'Chillai-Khurd' (small cold) and a 10-day long 'Chillai-Bachha' (baby cold). 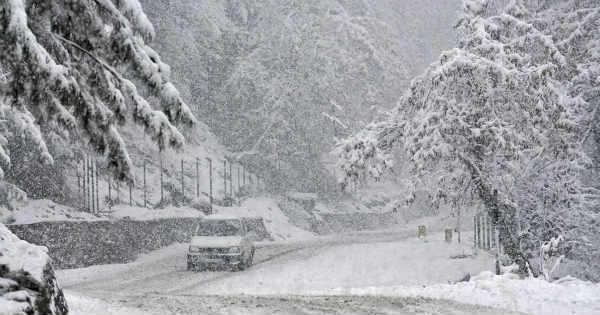 Heavy to very heavy snowfall is expected in the state of Himachal Pradesh today and tomorrow followed by Uttarakhand. The pilgrim spots of Badrinath, Kedarnath, Gangotri and Yamunotri have been covered under a layer of white snow. Not only this, hailstorm is also likely at Jammu division, lower reaches of Himachal Pradesh and Uttarakhand. There is a warning of avalanche in Chamoli, Rudraprayag, Tehri, Uttarkashi and Pithoragarh. In such inclement weather conditions, the variation in maximum and minimum shrinks to a couple of degrees. The state received fresh snowfall on Sunday, disrupting normal life which also lead to cancellation of flights and delays at the Srinagar airport.